Management as a course of study and lifetime career is aspired to across the globe today, spanning technical, economic, and cultural frontiers. Perhaps this is so because the principles of sound management remain constant through changes in time and space. Three thousand years ago, on the battlefield of Kurukshetra, Lord Krishna propounded the seed truth of effective management in lilting verse, allegory and cold, hard-headed pragmatism. 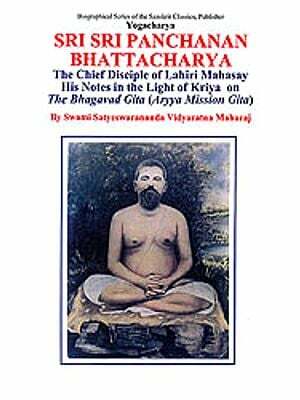 Macro- and micro- organizational principles as effective today as then, were encapsulated in the Bhagavadgeeta. This book is an attempt to interpret some of the many-splendoured glories of the Geeta, the context being the realistic management of modern enterprise. Ajanta E. Chakravarty is a management consultant. Her forte lies in the exploration of modern wisdom in ancient Indian texts. She has traveled widely and lectured extensively in India, US, France and Poland. She writes on management issues in national newspapers. Currently she is the Director of the Centre for Cross Cultural Communications. It has been seen that society tolerates only those organisational set-ups for which there is a felt need. No organisation has been able to survive unless society has felt and appreciated the benefits of its existence. Religion is one such force which has come into existence in response to a definite swell of demand for something that could answer the unanswerable, provide solutions to the insoluble and give consolation to the inconsolable. Thus arose Hinduism, a powerful response to the incomprehensible and the awesome. The strenuous efforts of the human intellect to understand and appreciate the fathomless secrets of life yielded the philosophy of Hinduism the powerful response to the incomprehensible and the awesome. Hinduism was organised as a religion that would carry the benefits of self-knowledge to the right people at the right time and the right manner. To achieve this objective, a highly complex system was evolved to ensure that the benefits would accrue to those who earned it. Over the rolling centuries, the precision of the system and its goal-oriented approach became obscured by elaborate rituals and the materialistic orientation of its followers who looked superficially but could not and did not taste deep of the sweet springs of knowledge that flowed underneath. In the present age, many young people are unable to fathom its complexities, incomprehensible superfically specially to those without the oriental mindset. This book is an effort to explore the management base of Hinduism as enshrined in the Geeta. It is an effort to lift the obscuring curtains of superficiality and to understand the macro and micro organisational management principles from which sprang the seeds of an elaborate superstructure. In the centuries since the Lord's pronouncement, the knowledge has once again become shrouded in the veils of a value system that preaches immediacy of goals and results. Ignorance of the wealth in our own homes leads to blind aping of others and a continued erosion of the tints, tones and strength of our social fabric. This book is a sincere attempt to interpret some of the many-splendoured glories of the Geeta as the cornerstone of sound management of the entire social edifice.